Today’s watercolor: Happy birthday, Mum! This entry was posted in Art and tagged Art, birthday, birthday card, flowers, happy birthday, illustration, mom, mother, mum, my art. Bookmark the permalink. 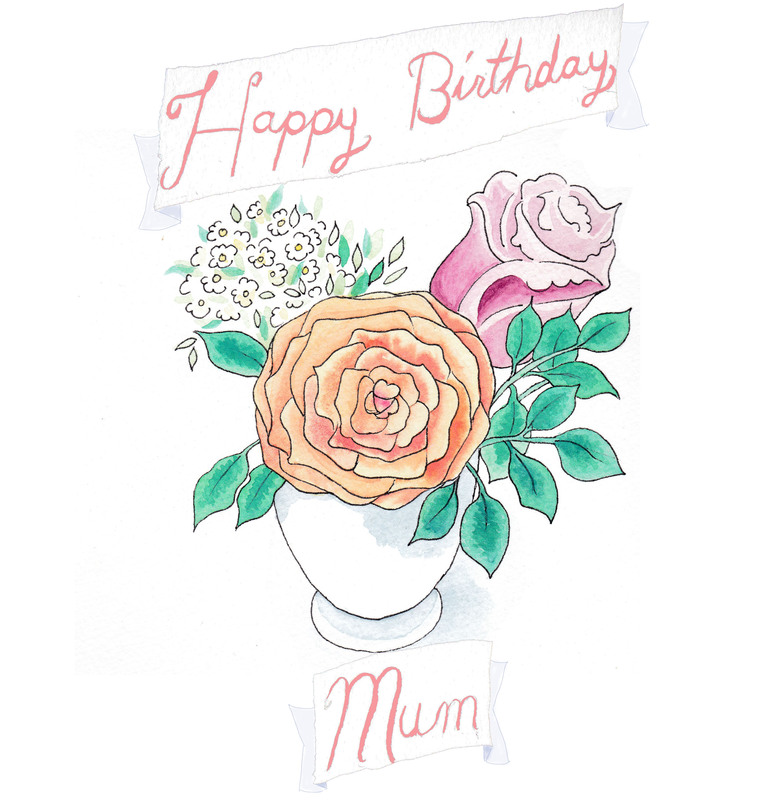 3 Responses to Today’s watercolor: Happy birthday, Mum! This is really lovely. Happy Birthday, Susan!! Picture now in front of me as I wade through my 8 billion BORING emails!